“I go to Iran” I say to my friends. “Iran? But is it not dangerous?” they ask. “Not at all” I answer. 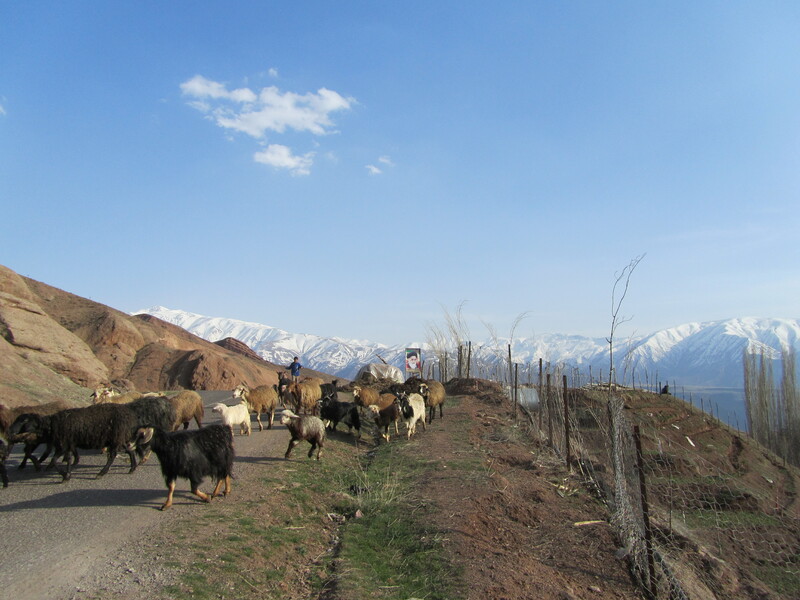 “It’s the second time I go, but this time I want to do a different route off from the tourists tracks”. 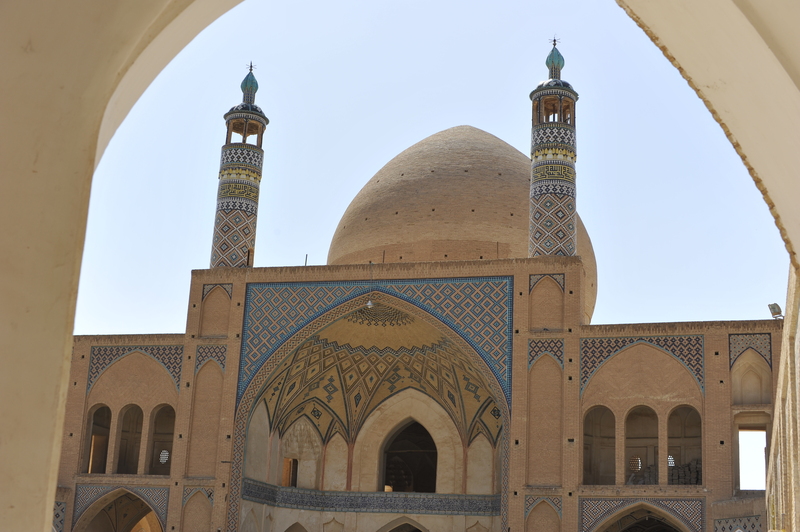 So, together with my friends we decide for a tailored itinerary choosing to visit the North Western Iran, then down to Isfahan and up to North East to finish our trip in the holy city of Mashad. 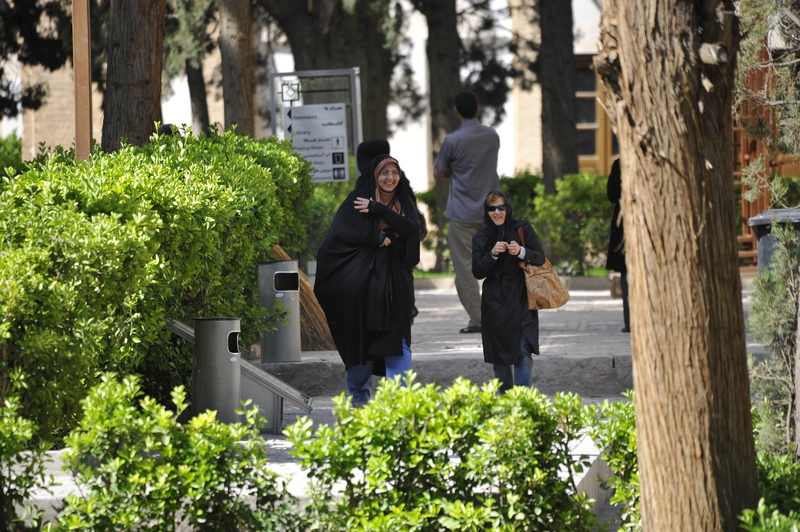 It was the week after Norooz when we arrived in Tehran. 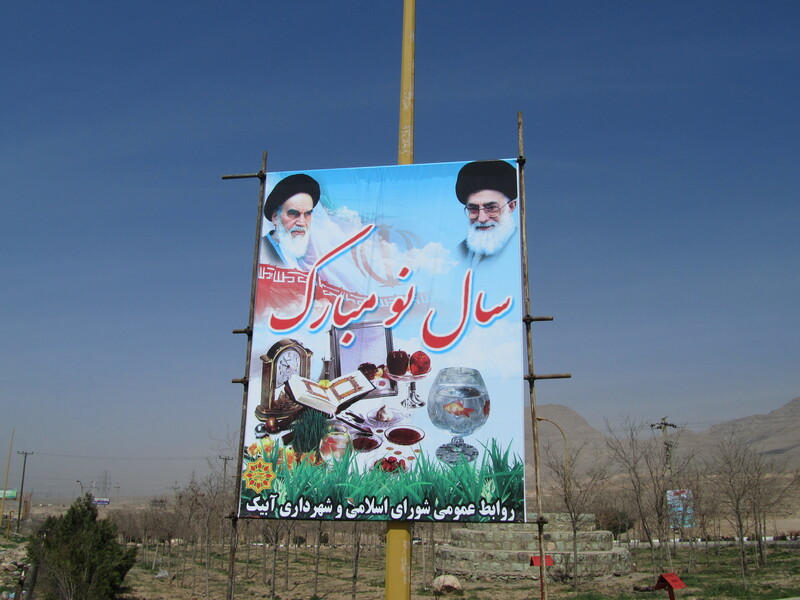 You could still see the signs of the festivity: tables set with the symbols of their feast: specific symbolic items seven of which have names starting with the Farsi letter S (seen) And posters around the streets with Happy Norooz wishes to the population from their Spiritual Leaders and the President. 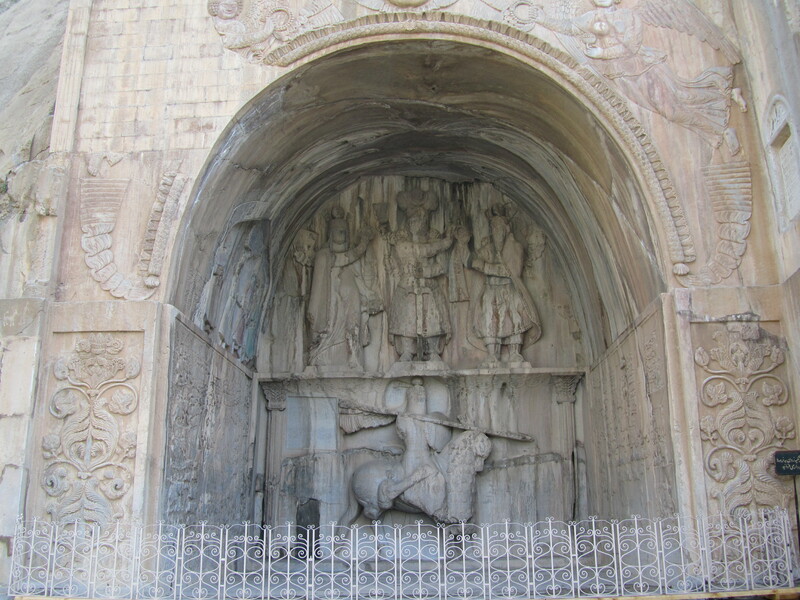 Although with regret, soon after our arrival, we leave immediately Tehran and start our planned tour. 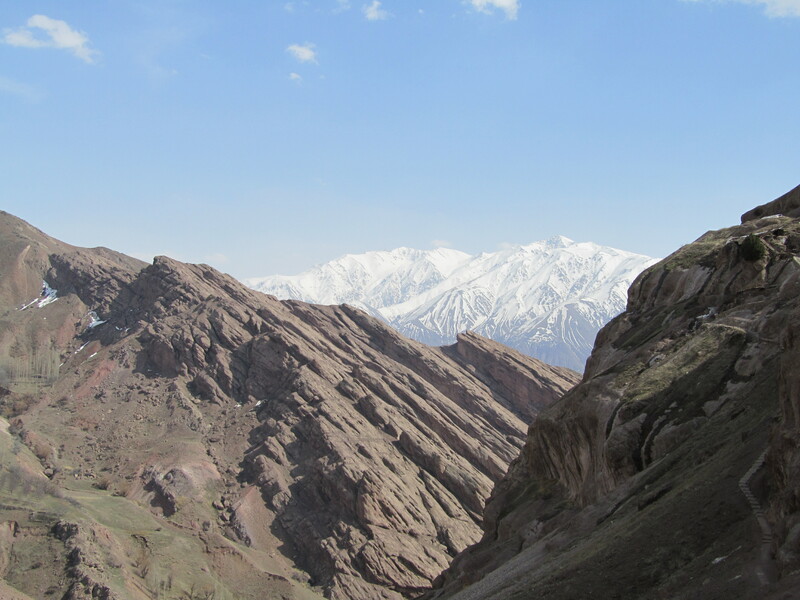 We first drive towards the Alamut Valley, on the southern slopes of Alboz mountains, to visit the ancient fortresses. 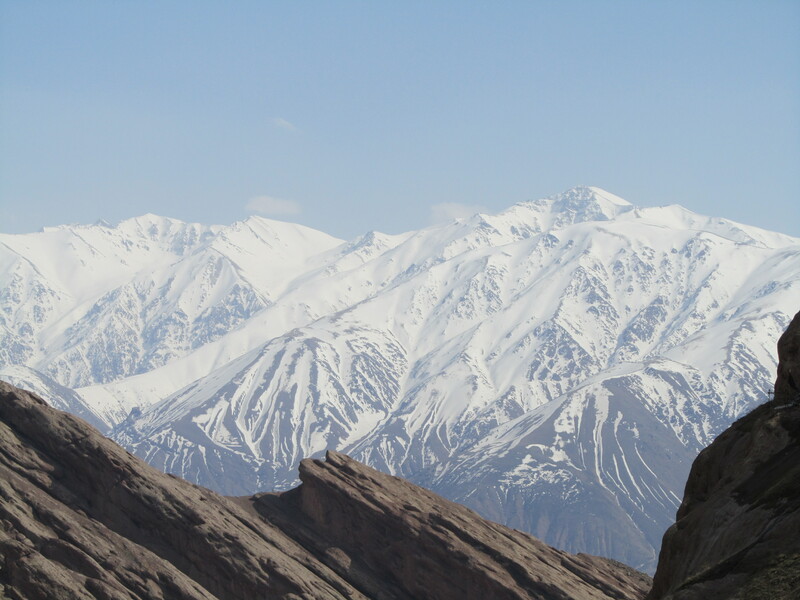 Landscapes from the top are really breathtaking. Crouched in an almost invisible way on the rocky ills, there are the ruins of more than 50 fortresses. 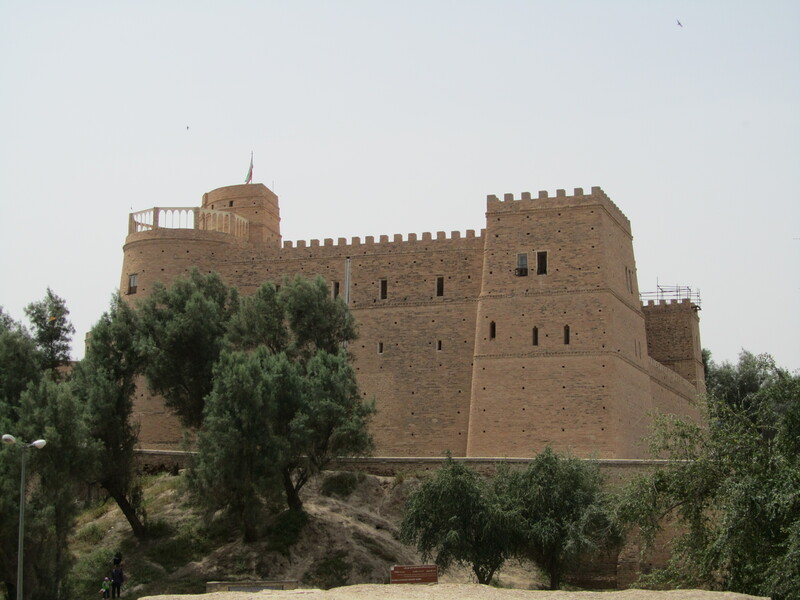 They used to be the strongholds of medieval religious sects, known also as “Castles of the Assassins”. 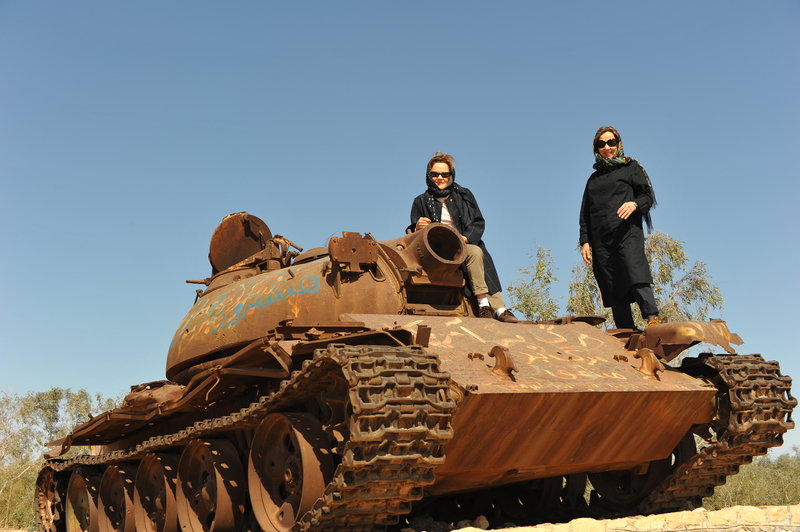 We visit the Hassan Sabah, the only one still in good conditions. 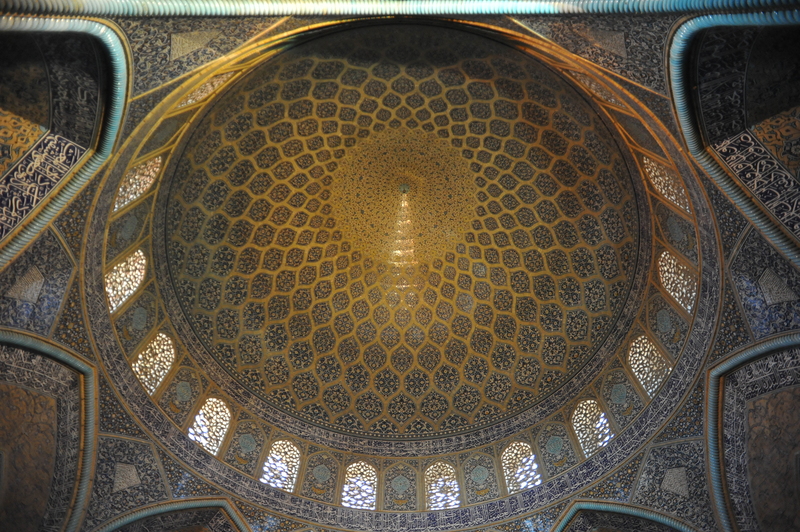 No less interesting is the next day visit to Soltaniyeh, in the Zanjan province, to the Dome Gonbad-e-Soltaniyeh. With a diameter of 25 mt and 48 mt high, it is considered to be the greatest brick dome in the world, now listed in the Unesco World Heritage. 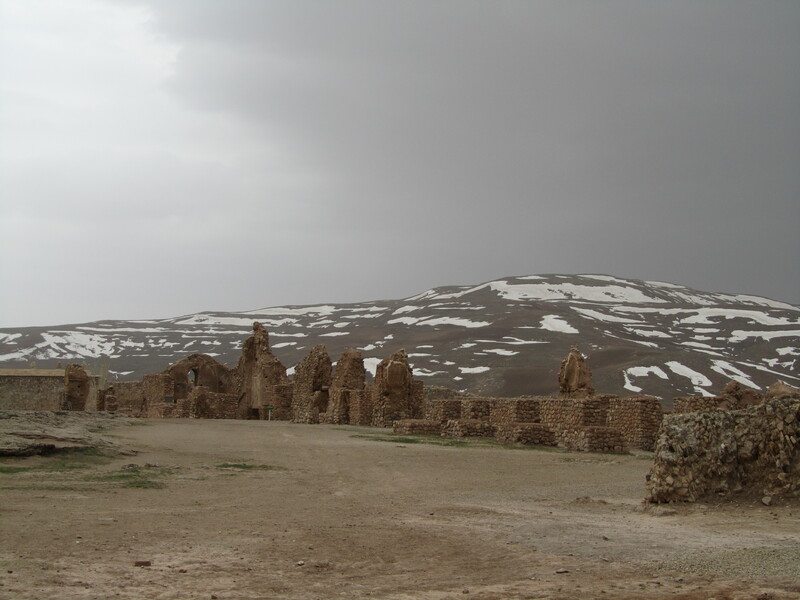 Driving through villages, where the time seems to stand still, we reach the archaeological site of Takh-el-Soleyman, once the spiritual center of Zoroastrian, the religion in Persia during the Sassanid period. No much remains of the original site, but the scenery and the location in between the mountains make this place really interesti ng. 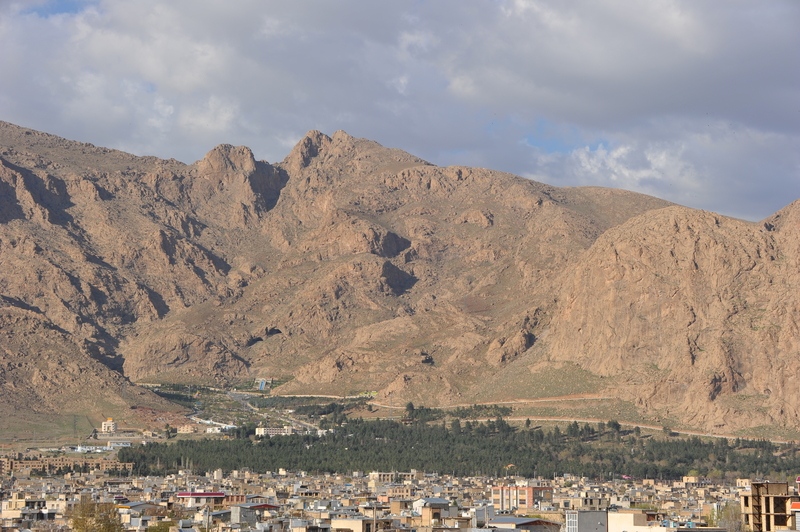 After the night spent in Takab in a modest hotel, we continue our journey towards Hamadan, a city located on the road to Baghdad and situated on a plateau dominated by Mount Alvad. City of ancient origin formely known as Ectbatana. 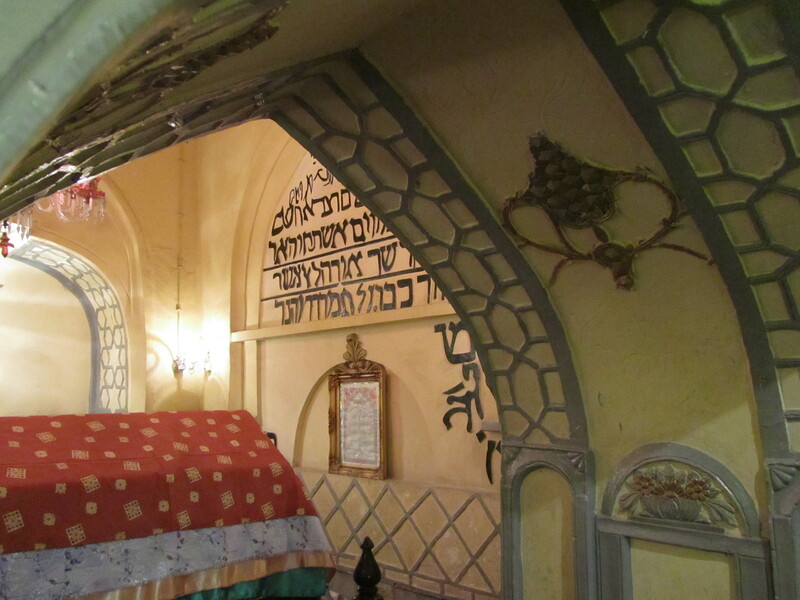 Here we pay visit to a jewish site, the monument and tomb of Esther, the jewish wife of Xerxes I°, Ahasuerus king The very bad weather conditions do not allows us to visit much of this city so we proceed towards Bisuntun at the slopes of the Zagros Mountains to visit some beautiful bas-reliefs carved into the rock of religious subject and dating back to pre-islamic period. 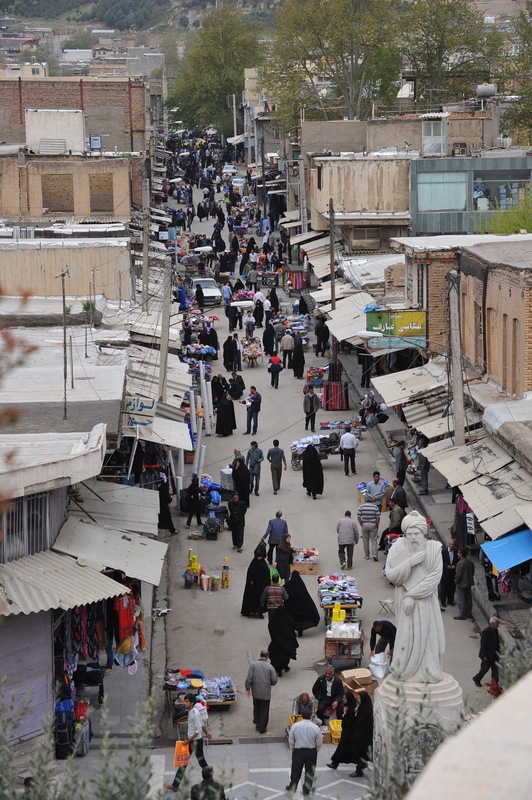 Towards evening we arrive in Kermanshah, in a city in celebration and armoured at the same time. 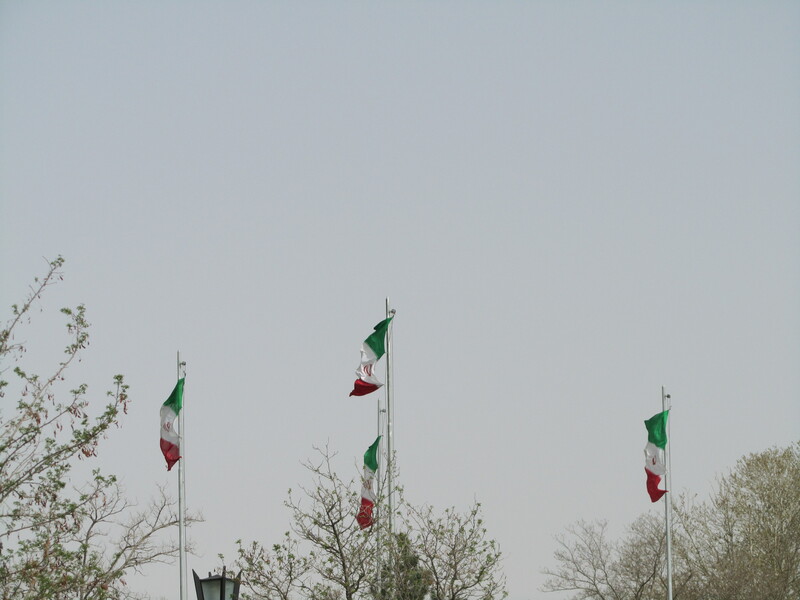 Indeed it is preparing for the visit of President Ahmadinejad, who will arrive in town the next day for a rally. Also the hotel we are staying is in fibrillation, it hosts the President delegation, his bodyguards or escorts already arrived one day before. 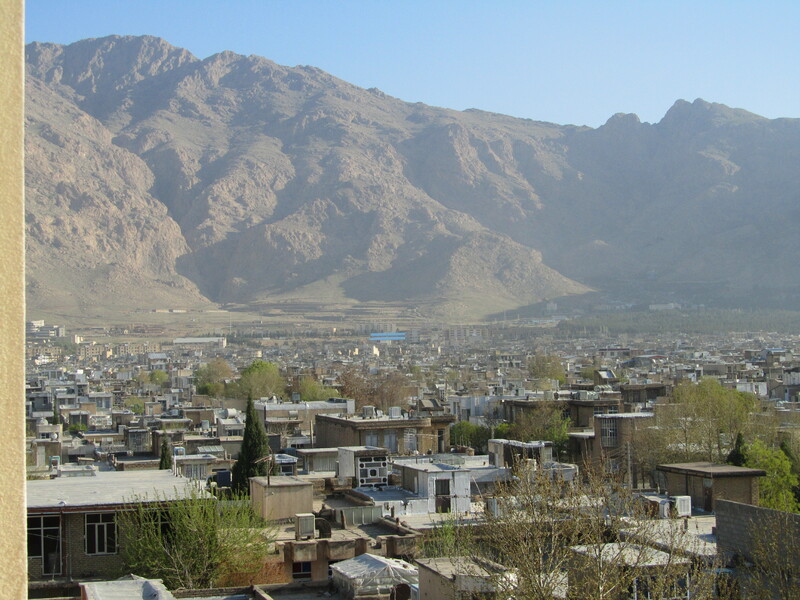 Kermanshah is a beautiful city enclosed by high rocky mountains, busy but nice and tidy. 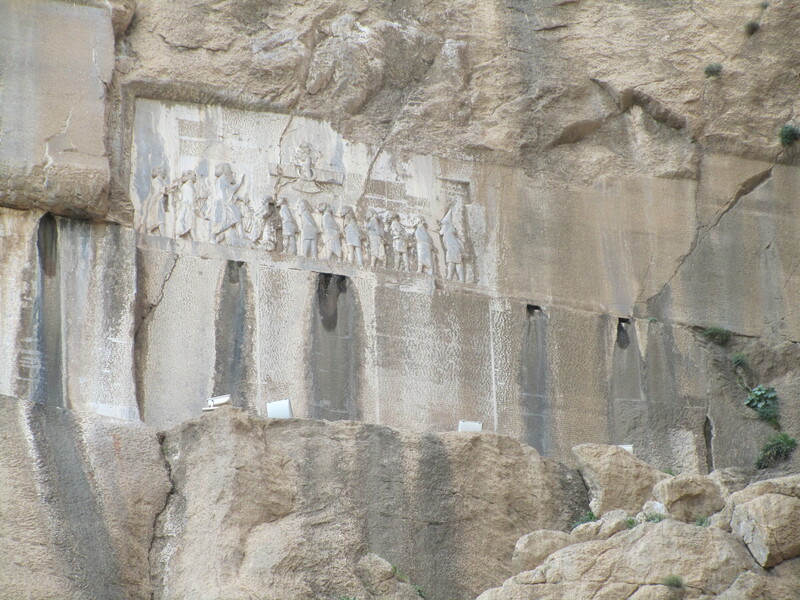 We visit Tagh-e-Bostan, located in a lovely garden, here you can admire beautiful bas-reliefs and carved niches dating back to the Sassanid period. 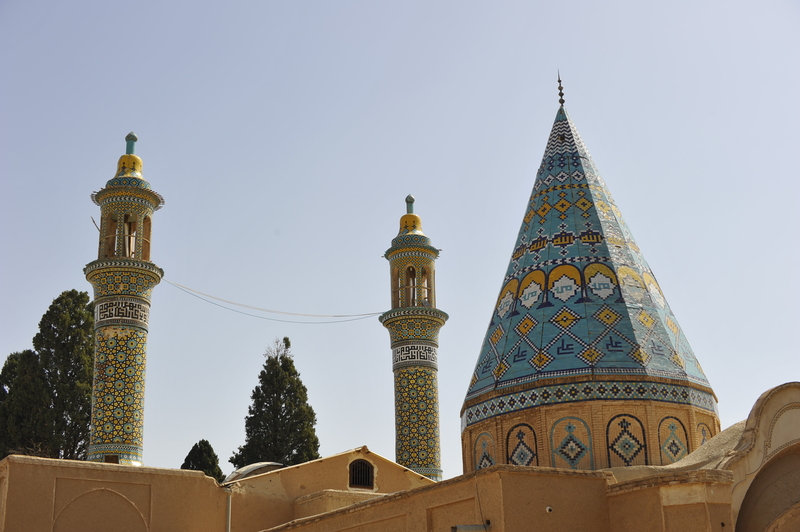 We leave Kermanshah, but before taking the road which will lead to our next destination (Chogha Zambil) we ask our driver to make a detour and drive towards the Iraqi border. 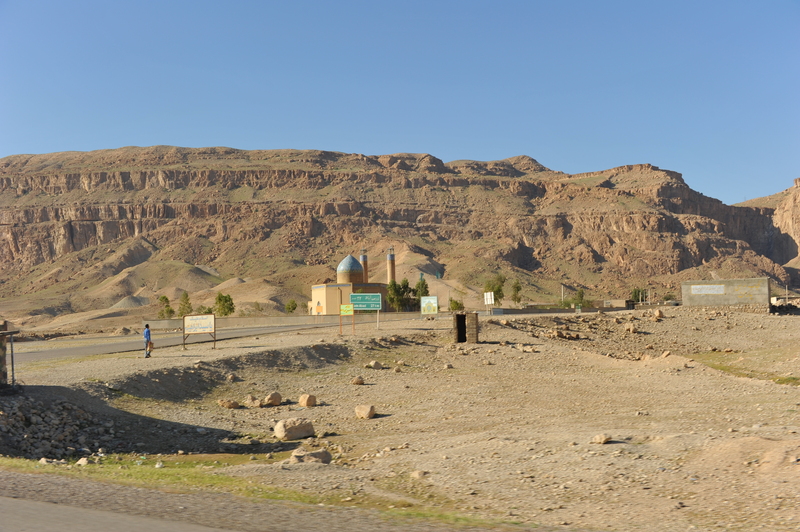 We arrive till Mehran, which is the village on the Iraqi border, passing through the area where the Iraq-Iran war took place. You can still see the sign of this terrific conflict which lasted 8 years and made an high number of victims among the Iranian population. 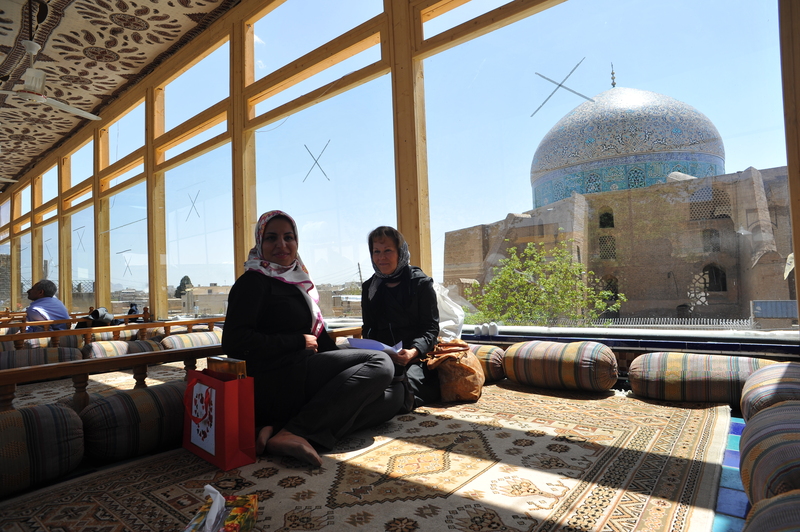 We are thankful to our driver for this unplanned visit and we proceed towards Chogha Zambil to visit the Ziqqurat. Recognized as Unesco World Heritage, this 5 level pyramid dating back 3000 years is the best example of Alamia architecture in the world. 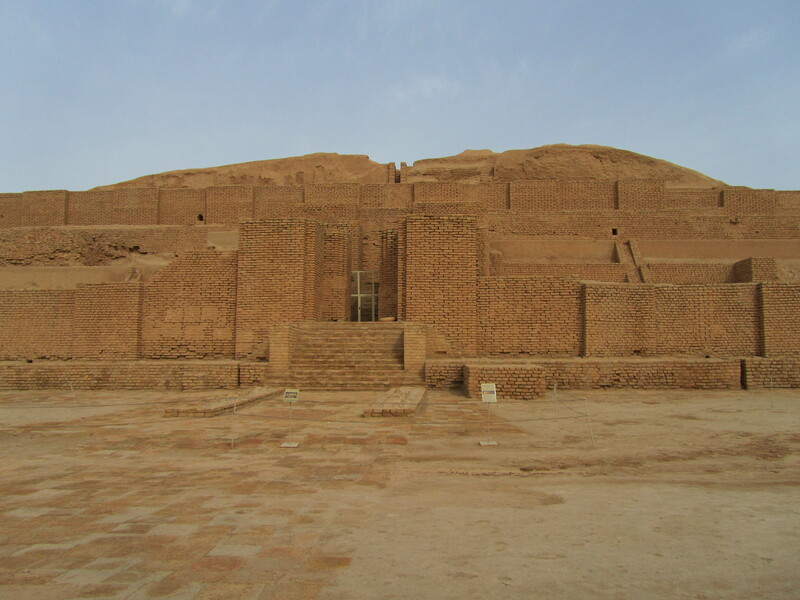 Our next stop will be Sush, one of the great ancient cities of Iran which was the capital of the Achaemenid. 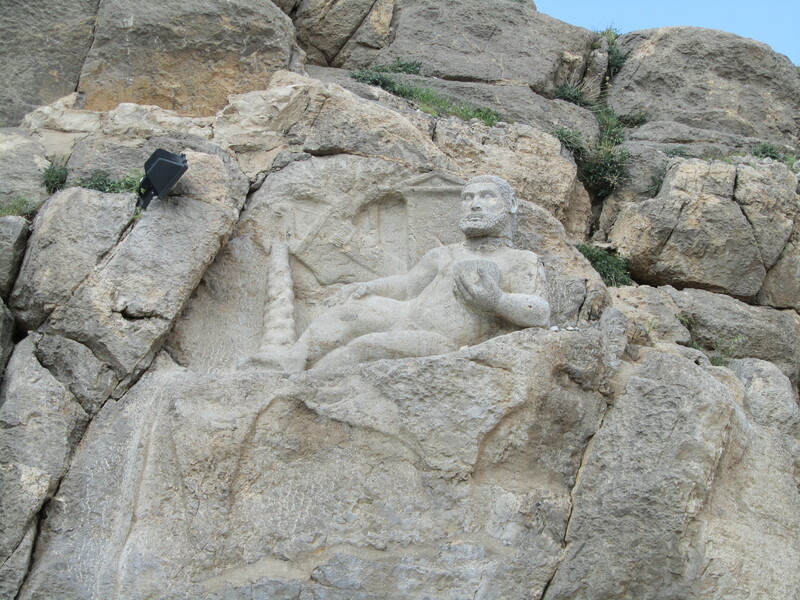 Sush has been of great importance in Iran’s history to rival Persepolis. 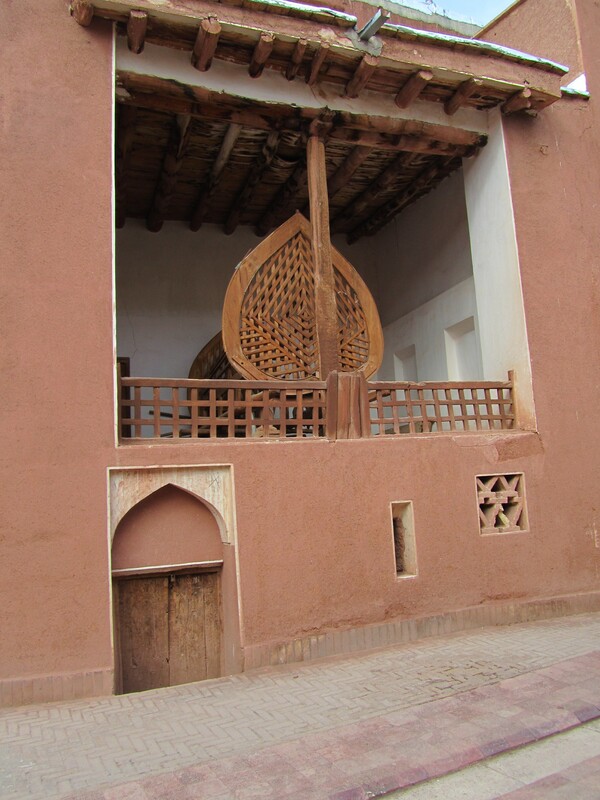 We visit the castle and the mosque. 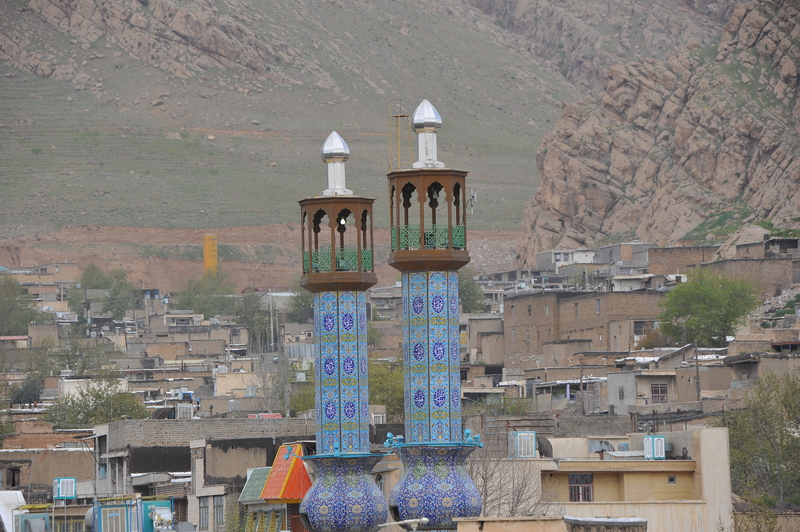 We arrive in Khorramabad (Lorestan) for the night. 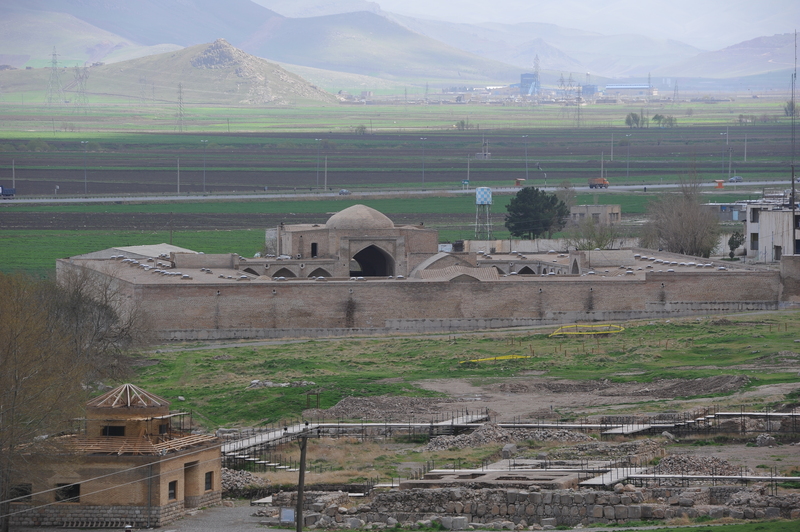 Next morning we visit the Falak-ol Aflak fortress (Shapur Khast fortress). 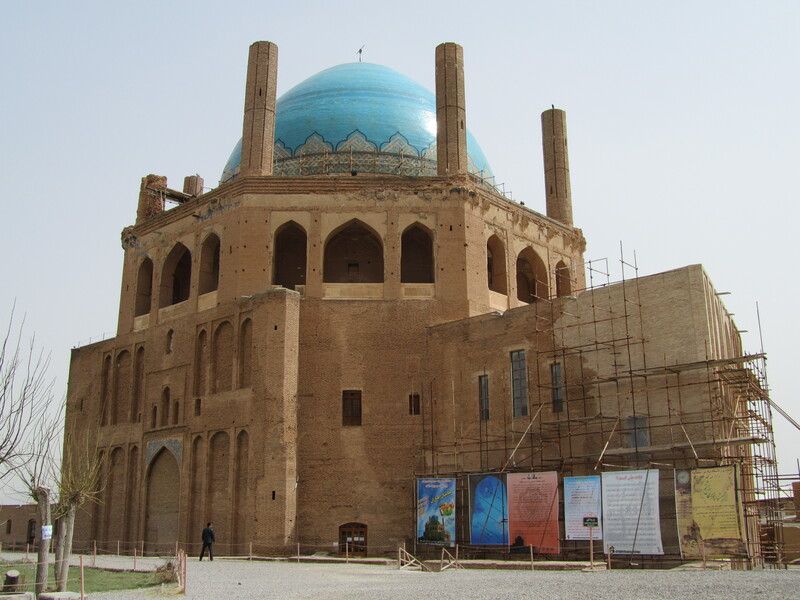 The original building is attributed to the Shapur, the first Sassanian period in the 3rd century AD. 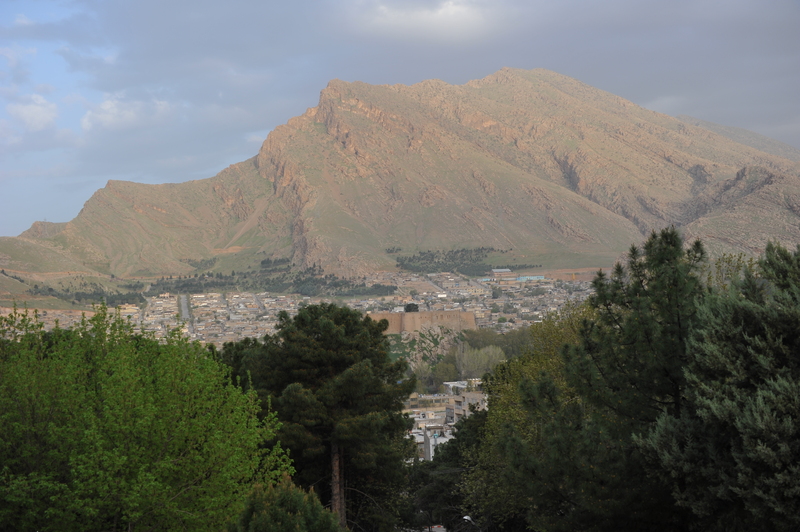 The fortress is a monument from the ancient city of Shopur Khast. 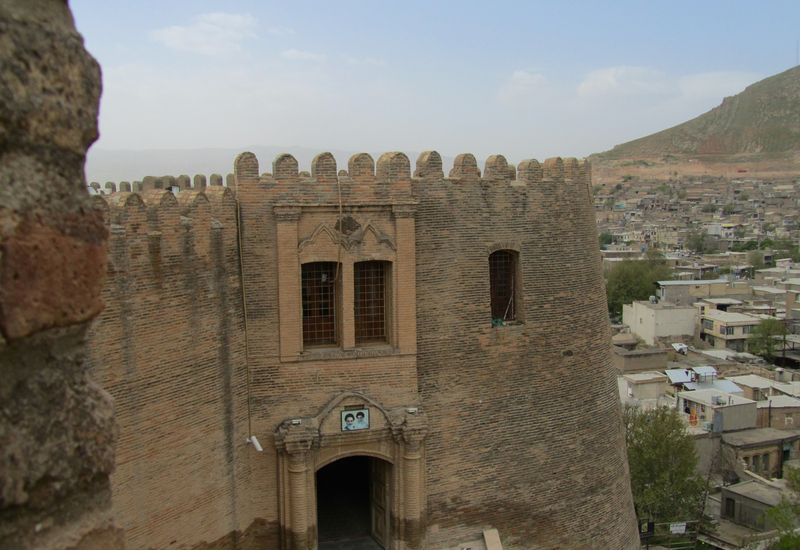 Important past uses of the fortress are: a treasury for the Badr dynasty in the 11th century – government premises during the Savafid and Qajar dynasties and a military base and political prison during the first and second Pahlavi regimes. 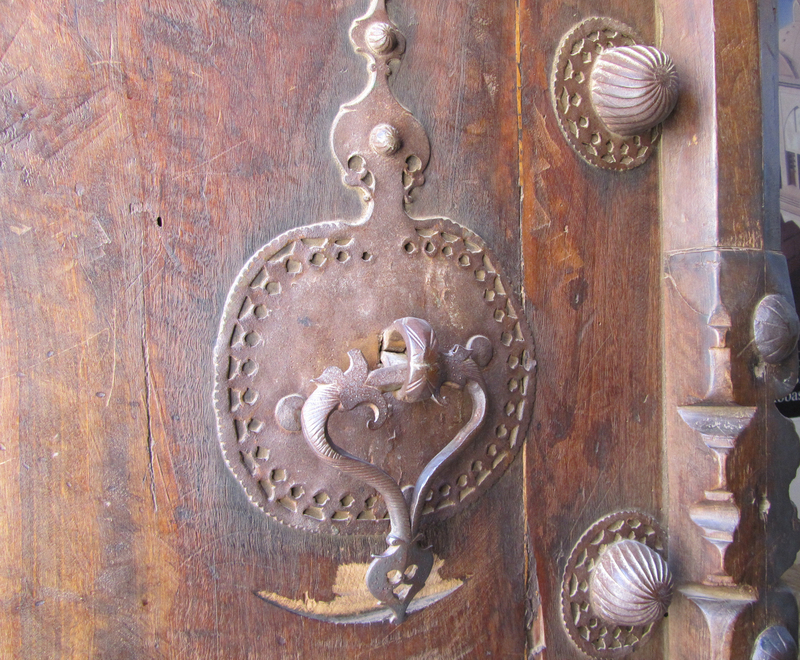 Now the castle hosts a very interesting Antropology and Archeology museum which is considered one of the richest museums in Iran. 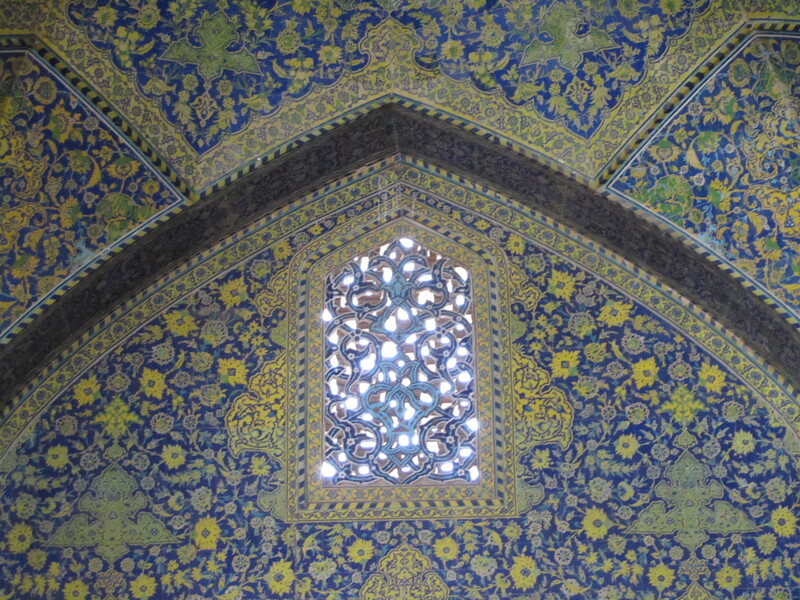 Next destination Isfahan. We arrive at mid afternoon. 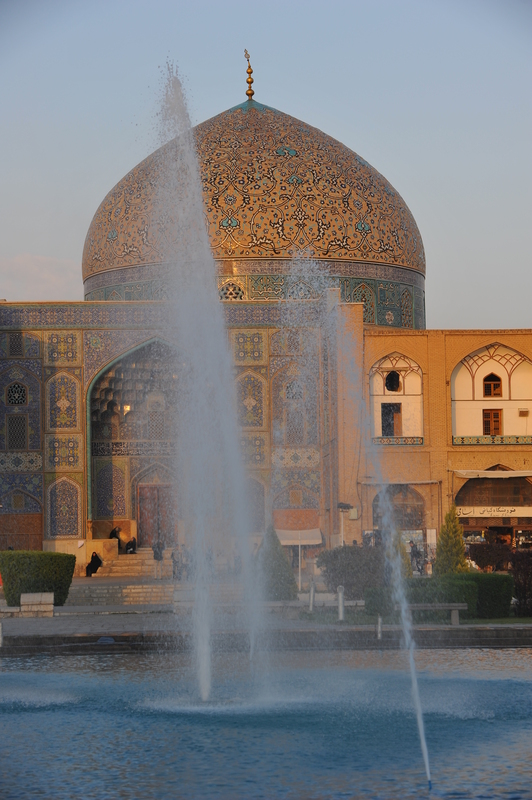 The beautiful Isfahan, also called “Isfahan nesf-e Jahan” (the half of the world). It is a pleasure to return in this lovely city. The emotion is strong also because this time I will meet with an Iranian girl met on the web: Masomeh. What a wonderful experience! 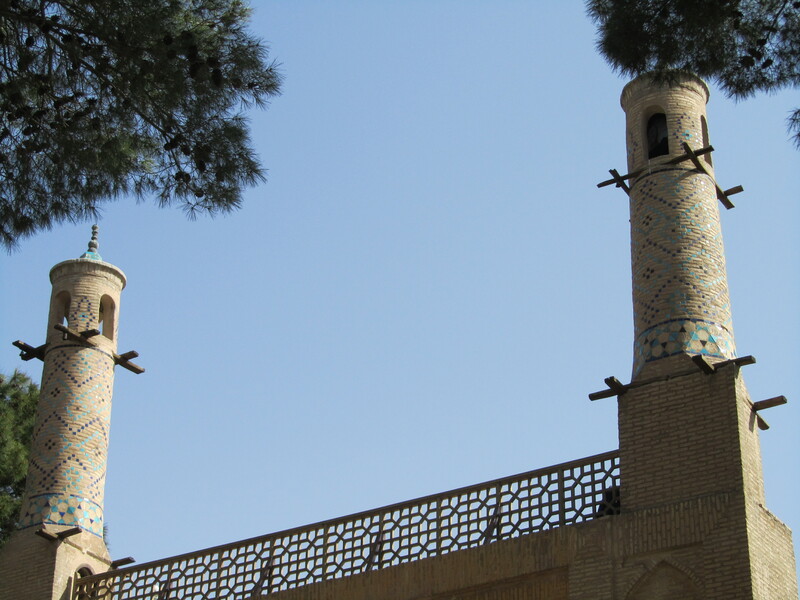 We visit again with pleasure all the places visited the year before: the beautiful Imam square, the mosques, the Ali Qapu palace, the huge bazaar, the oscillating minarets, Jolfa the Armenian quarter and at night the fascinating illuminated bridges on the Zayandeh river. At lunch, in a typical restaurant in the big square, I meet with Masomeh my friend. We immediately recognize each other and embrace as if we knew each other since long time. We spend the day together, we do shopping at bazaar, she would like me to go and meet her family and spend the evening with them. We end our meeting with a drive in a horse drawn cab around the beautiful Imam square. 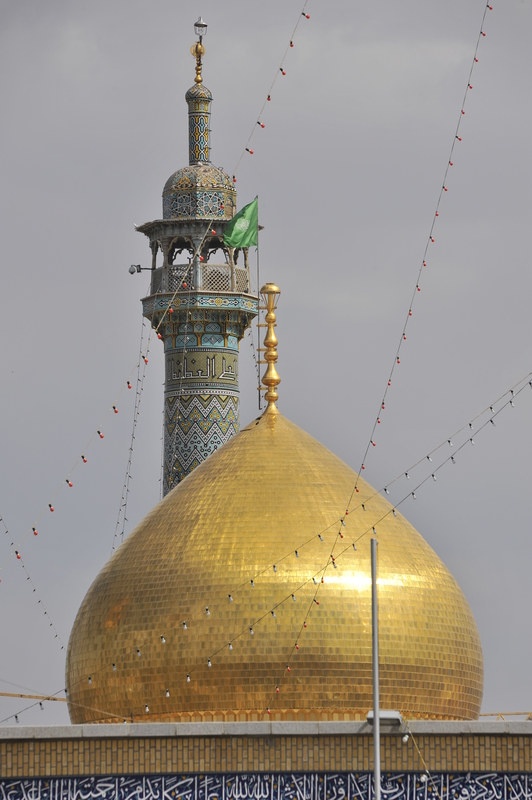 With much regret we say goodbye, promising each other to meet again soon in Iran or in Italy. We are close to the end of our journey. Three more places to visit. 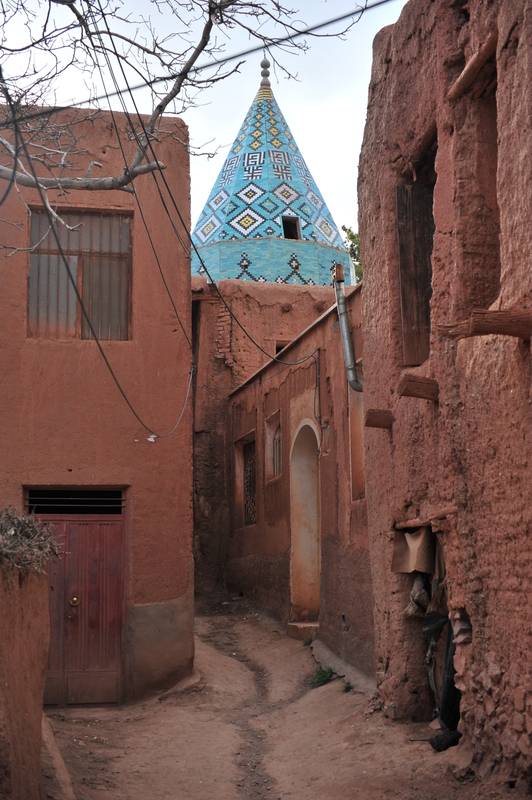 Abyaneh, the charming quaint village once inhabited by the followers of Zoroaster. 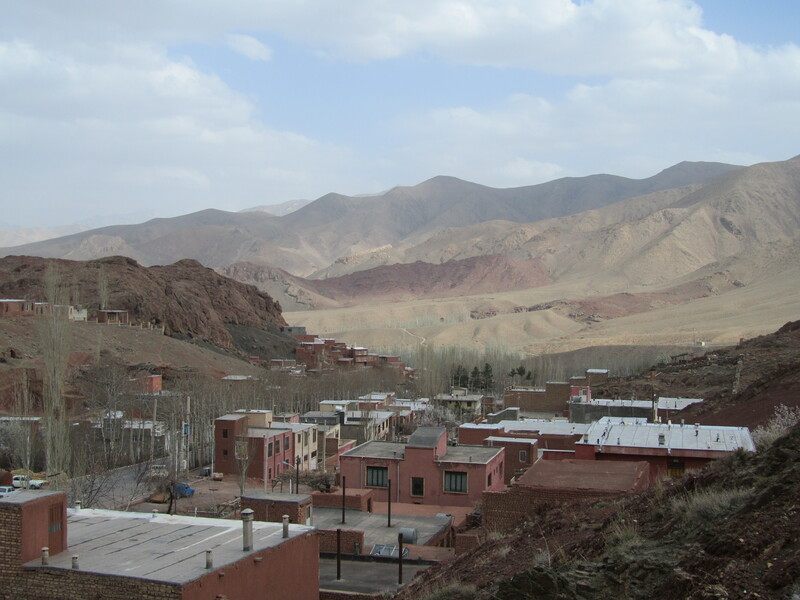 The village is nestled at foot of Karkas Mountain and crossed by steep and winding small streets made of mud and stone. 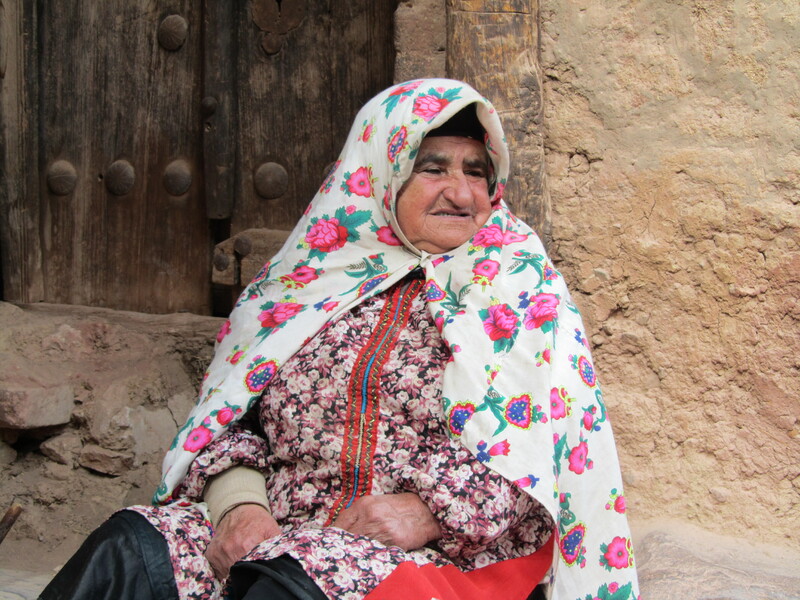 As evidence of the ancient origins and isolation of this village, the older inhabitants still speak a variety of Farsi missing from centuries from the rest of Iran. We had already visited it last fall in the beautiful warm autumn colors. 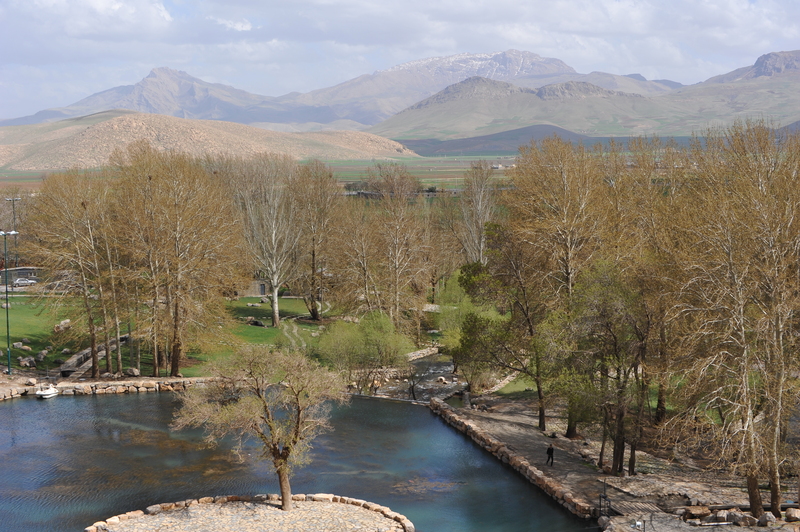 This time we visit it in spring, less colourful but always authentic and spectacular. The hotel where we spend the night is characteristic, with lovely view over the village and the owner welcome was very warm and friendly. 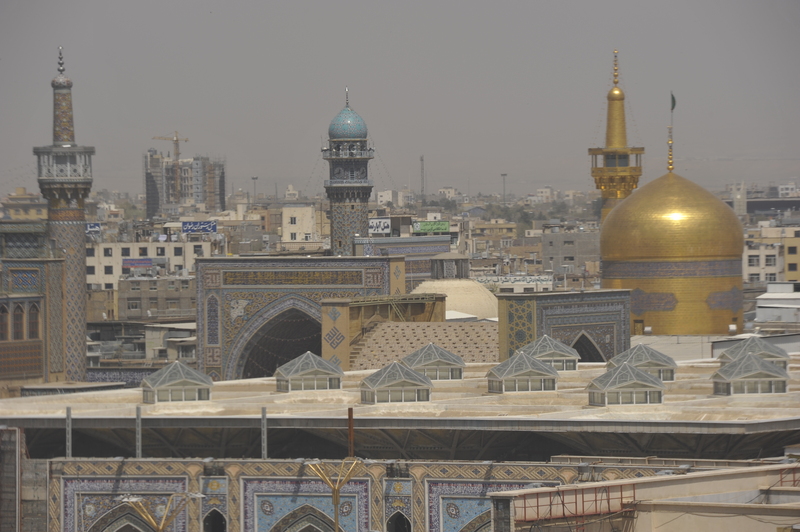 The next morning we leave for Qom, a very short visit, too short to appreciate in full the spirituality of this holy city. But time is running short. 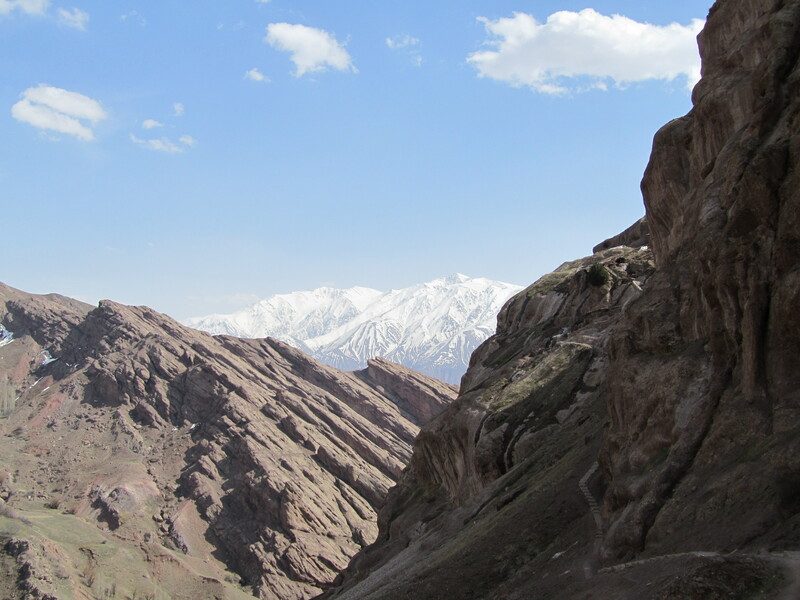 In the evening we have a flight from Tehran to Mashad, North East Iran, where our Iranian tour will end. 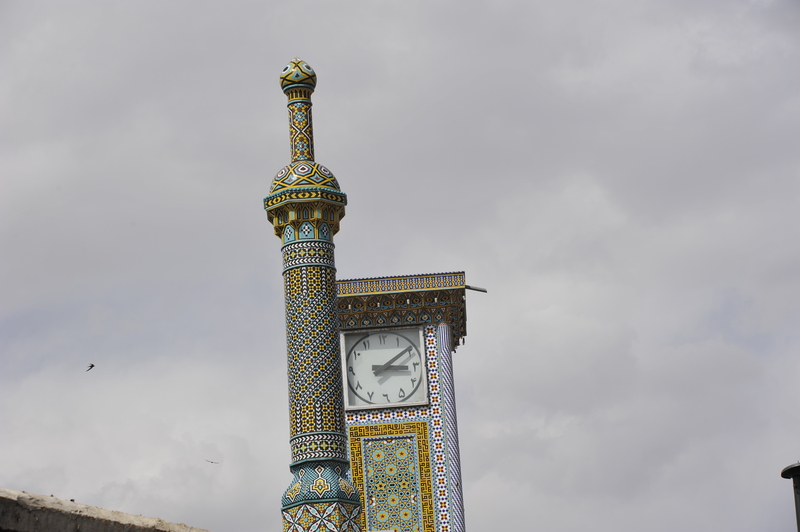 On the road Tehran we still have time to stop in Kashan. 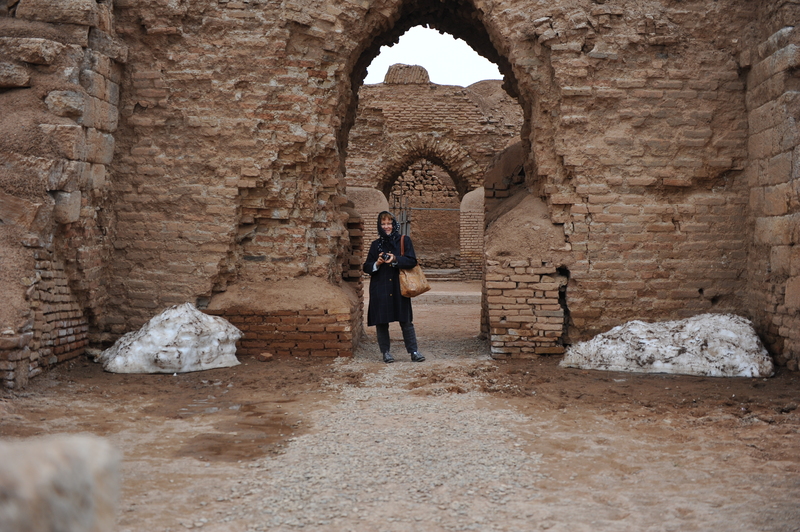 And here I will meet another Iranian friend met on the web: Marzieh. We met at Fin Gardens. My God, she is not as I had imagined her! I thought to meet a petite girl but instead Marzieh is veeeeery tall!!! I soon recognized her beautiful light eyes! She had prrepared just for me some delicious cakes, which I shared soon after with my tour friends. A very short meeting but very pleasant! 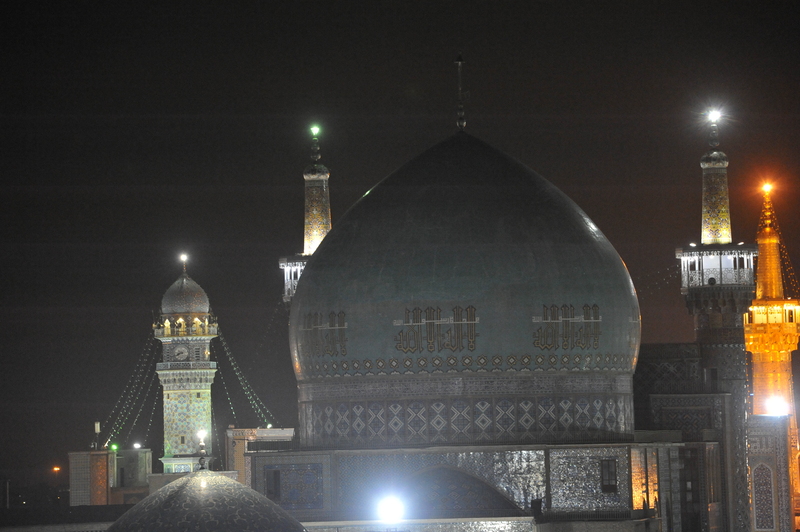 We arrived in Mashad the holy city late in the evening. 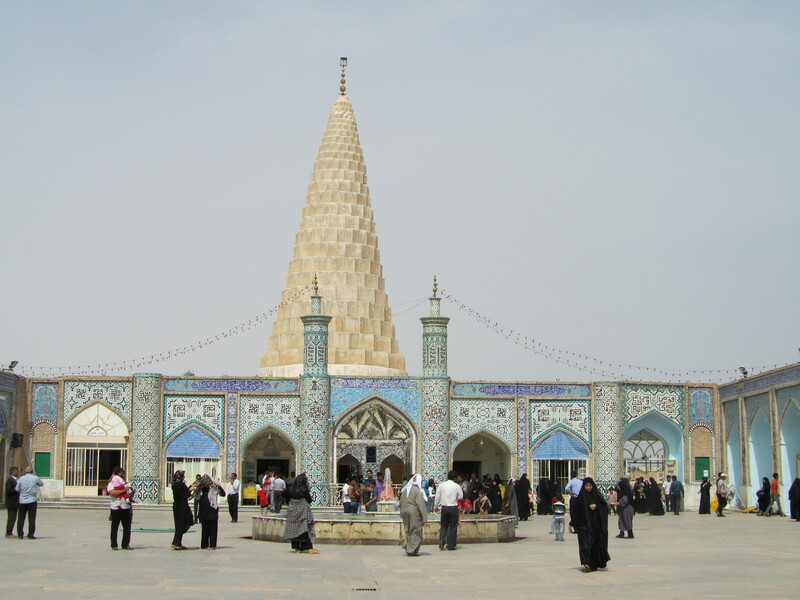 An important place of pilgrimage for Shia Muslims. 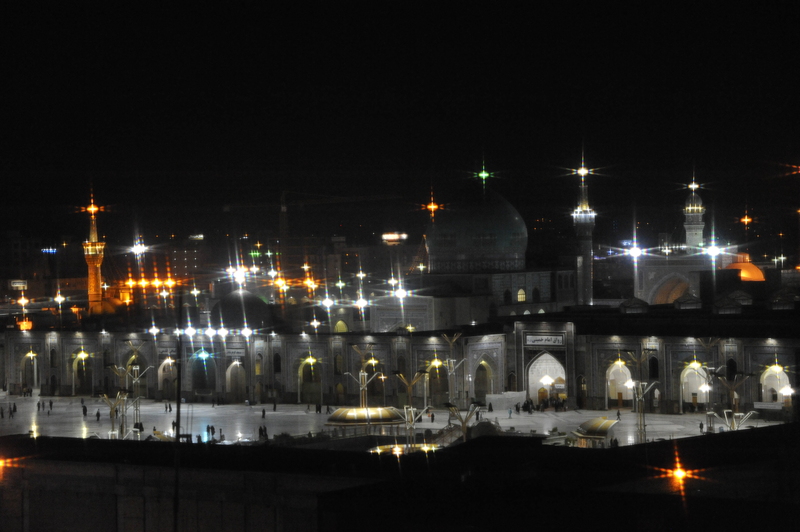 Mashad is the most important religious holy cite in Iran because of the impressive and magnificent Haram-e-Razavi. 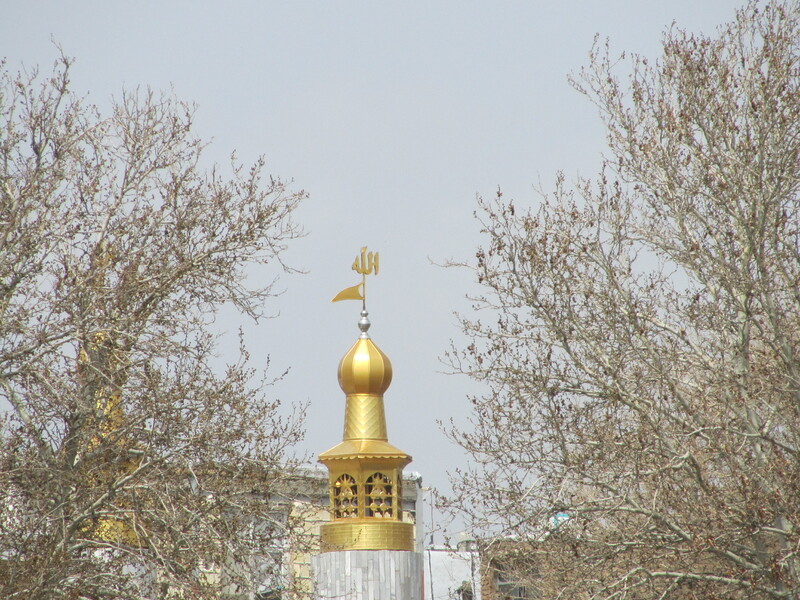 Mashad was a small village called Sanabad, but after the burial tomb of Imam Reza (Ali Ibn Musa – (8th Imam) it became a place of pilgrimage and its name changed with Mashad which means “place of martyrdom”. The view of this place is breathtaking. You can feel the spirituality of this site walking around the yards. 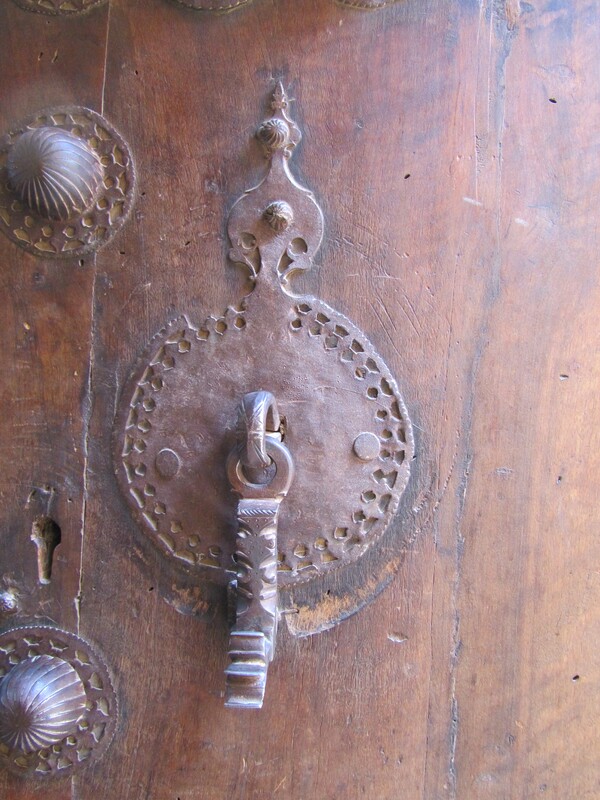 It’s an emotional experience also for those who are not of Muslim faith. 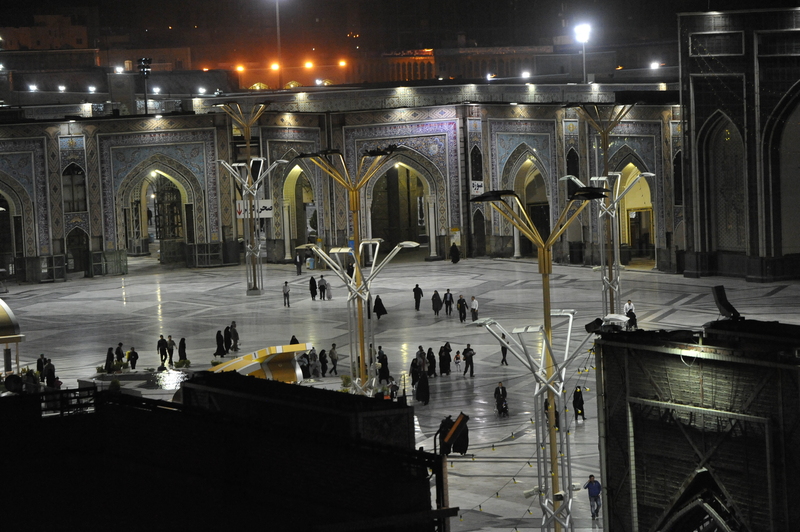 As for the faithful who complete the pilgrimage to Mecca receive the title of HAJJI, those who make the pilgrimage to Mashad have the right to add the title “Mashtee” to their names. 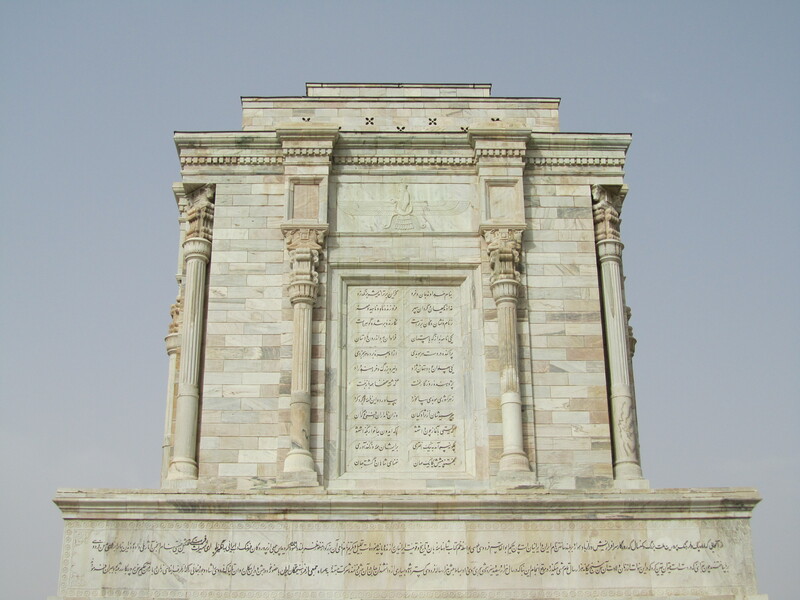 We conclude our Mashad tour visiting the tomb of Ferdowsi, an important Iranian poet. 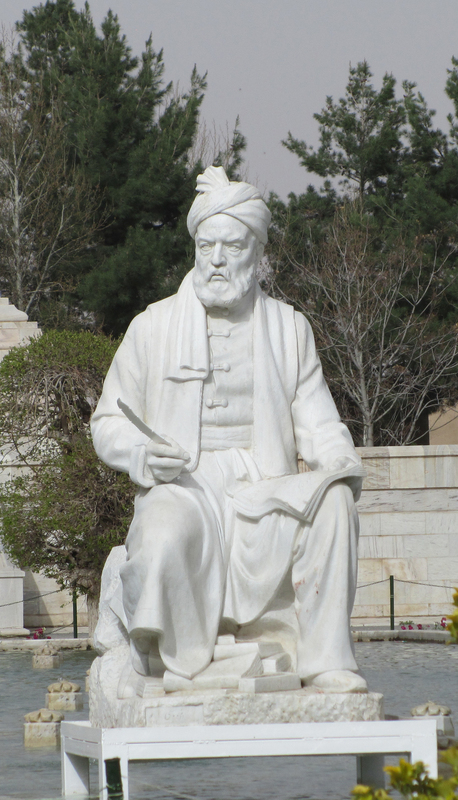 Ferdowsi is considered the saver of the Farsi language, the language he choosed for his poems in a period when Farsi was in danger of being replaced by the Arabic language. 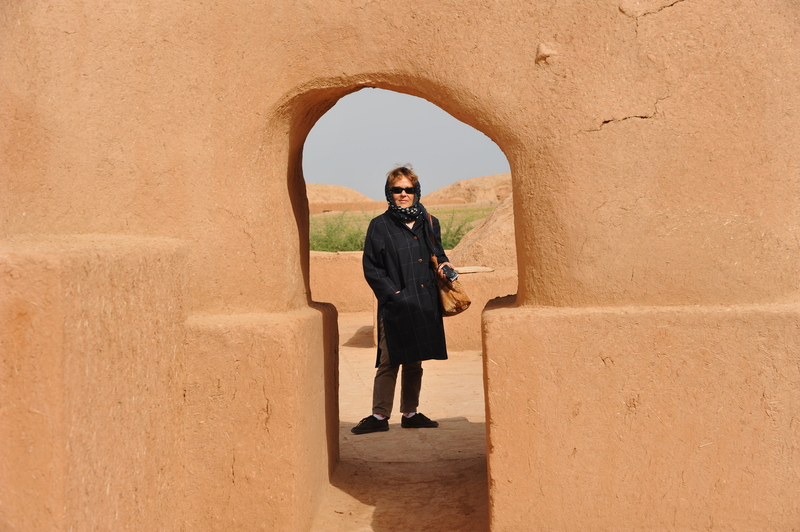 Here ends our second trip to Iran: a journey full of charm and authenticity, a different Iran, very particular, mystical in some ways but an Iran that never disappoints you!